The true message of Christ was about so much more than fear, judgment and religious dogma. Growing up in a conservative Christian family, I was taught to believe that being a “true” believer – and therefore getting “in” to heaven – meant worshipping Jesus Christ as my one and only personal savior. After being baptized as a baby and “saved” as a young adult, I believed that honoring Jesus required putting Christianity on a high pedestal that forbade acknowledgement of other saints, religions or paths to God. Though I always had a natural curiosity about other cultures and their spiritual practices, I secretly feared that being open to other faiths meant being disloyal to Jesus. To me, that was dangerous ground both morally and spiritually. As a result, I avoided anything that looked or felt too “different” from rituals I practiced growing up in the A.M.E. (African Methodist Episcopal) church. Each week, my family donned their Sunday best to join the parade of custom zoot suits, colorful wide-brimmed hats, fancy dresses and pious white gloves. Once seated snugly into our favorite pew, I played my part well. I sang on pitch from red hymn books. I stood up and sat down to recite verses from the Bible, the only sacred text I ever read. Once a month, I quietly endured three-hour communion services with bread, crackers and grape juice without looking bored, and watched attentively during sermons by charismatic pastors who were assigned to preach, shout and stomp the congregation into spiritual euphoria. As long as I looked the part, sang along, and recited on cue, no one ever asked me about the state of my consciousness. Though every service was uplifting, I often left church feeling spiritually empty. Years later, I became a curious spiritual seeker. I studied Kabbalah, Scientology, Hinduism and Buddhism, looking for the one “true” religion. I went to every temple, cathedral, mosque and church I could find. Eventually, I visited L.A.’s Agape Spiritual Center, a congregation based on the Science of Mind tradition founded by Ernest Holmes. It was an eye-opener. There, I first encountered the concept of the “universal Christ consciousness.” The services included affirmations and songs, but unlike my home church growing up, Reverend Michael Beckwith recited scriptures from every major religion, including the Torah, Koran, and the Bhagavad Gita. He often referenced Jesus’ words in the bible: “The kingdom of God is within you.” (Luke 17:20-21). In his purview, Christ’s most important legacy was not a particular religion or the church itself, but his Spirit – his God consciousness – which reigns in all hearts. 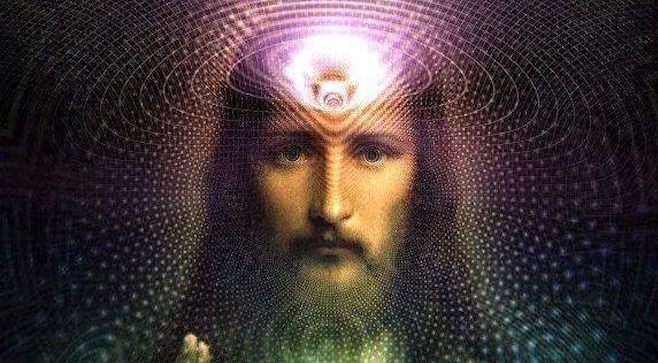 This Easter, I choose to resurrect the Universal Christ Consciousness within my own heart. For me, this contact has nothing to do with how I express my religion on the outside – what I wear, whether I go to church or not and the songs I sing are of little importance. Though it may work for others, I don’t need a cross, communion, or special hymn to find God. This means walking humbly through the world with kindness and compassion; loving others especially when they don’t believe what I do, whether they’re Islamic, Jewish, atheist, white, gay or republican. And perhaps of greatest importance is cultivating a deeper love for the Divine – whether I call it Christ, Krishna, Buddha, Allah, Elohim, Higher Power, Divine Mother, or God.